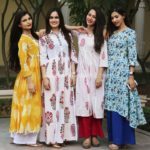 One of the country’s traditional outfits, Kurtis have evolved and adapted to the designs of the western culture. Our designers corroborate these changes in their collections and include the new trends that fashion demands. 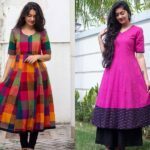 If you are looking for some new fashion trends in kurtis to follow, here are a few back-neck designs for your fashionista look! The inspiration for a number of styles, the diamond cut at the back creates an interesting turn to an otherwise simple outfit. Depending on the print that you’re picking up, get this subtle yet feminine design to your wardrobe. One of the most widely used designs; this style keeps on evolving every year depending on the trend fashion brings in. 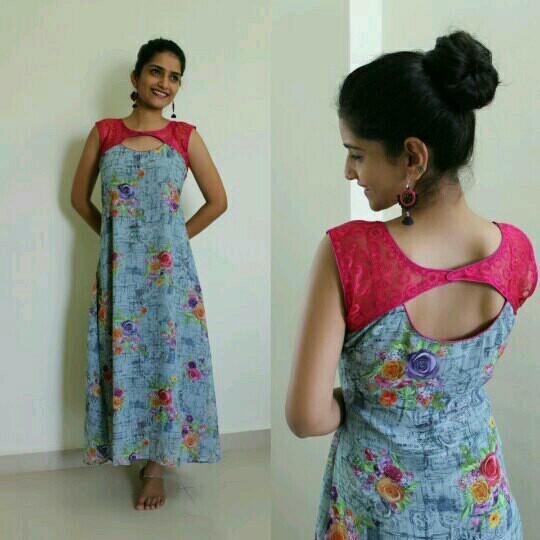 A combination of a halter neck and a teardrop circular cut, this design is usually used in occasional or festive kurtis as it is a more evening wear look. Creating an intriguing pattern, the criss-cross pattern is a design which has inspired many western wear forms of clothing. From printed to solids, this design can be seen in several pieces. Vastly used to create colour blocks, and adding on texture to the garment, this design can make you stand out of the crowd in a very modest manner. Another widely used design in the Indian culture is of adding a printed patch in the kurti. It isn’t only about the front sometimes! Creating an intriguing look with a bun hairdo, you can flaunt this style while you add on areas of interest in your kurti. This type of patch also helps in creating a better fit for your shoulder, and makes the kurti feel more comfortable. Inspired from the Indian saree blouses, this trend was brought into the kurti section of clothing to add silhouettes. Adding a texture to the deeper back neck, the knot holds the sides of the kurta and makes it easier to carry. A little bit of trend and a little bit of texture makes it a widely accepted design. Like the normal neckline, this pattern is cut closer to the neck providing a wider front and back in the kurti. 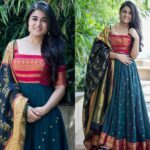 This pattern can be a simple or an embellished one, depending on the type of kurta, but is majorly a part of the casual clothing. Providing comfort and for those who like to sport a kurta without a dupatta, this pattern is a fine choice to create an elegant look. 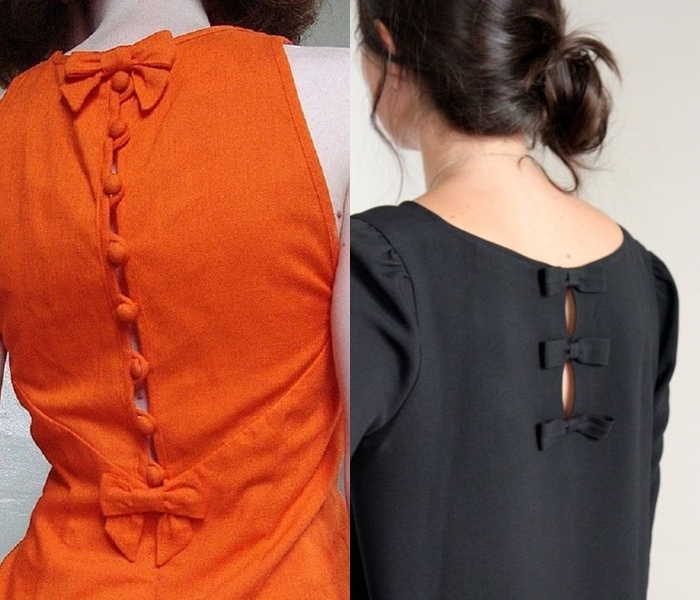 Part of the new trend and a combination of western and Indian wear, this pattern is more or less backless in nature. Circling around the neck with a knot or a hook, it creates a layered neckline fall around the neck, depending on the depth it carried. A straight back, this design can make heads turn and make you look like the real diva that you are! A combination of a boat neck pattern, this deep V back consists of no knot but a wider neckline for the front of the garment. 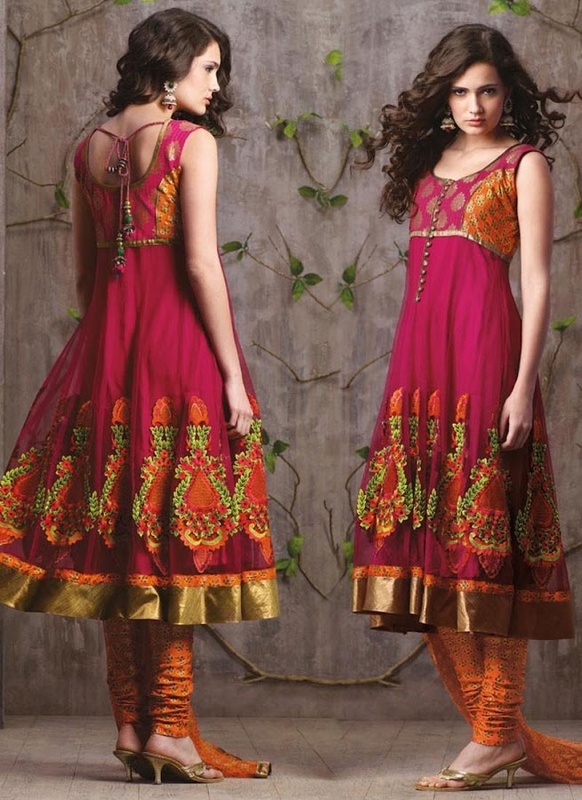 This design is best appreciated when made a part of solid and subtly embellished kurtis. Choose a pastel colour with minimum texture and create a chic design by adding on this pattern to your collection. 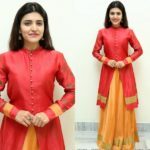 Creating one of the cutest and the most feminine design, adding on bows to the back neck has appealed to several girls and women to try out kurtis, if they never wore it before. Feminine and easy to maintain, this design can be included with loop buttons to provide ease in opening and stretching of the fabric. 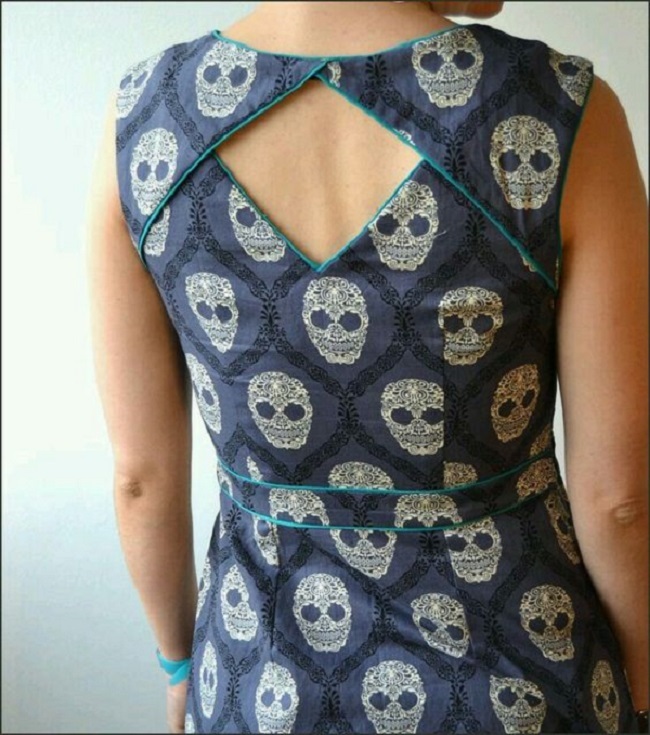 A double V pattern creating a nice peep around the waist, this pattern has been inspired from western dresses that also consist of similar patterns. This pattern also creates flexibility and comfort as the design is not revealing, but still manages to create a fascinating look. 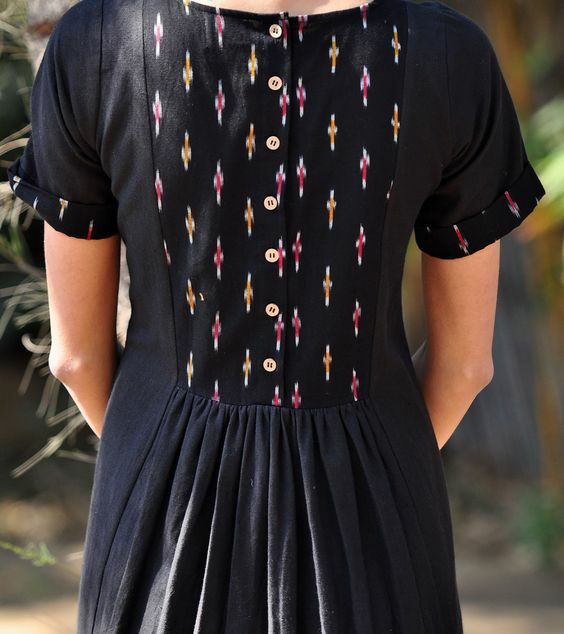 If you have a kurta in a quirky pattern, maybe you can even carry it off as a dress! 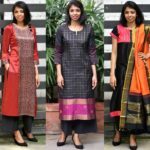 With the addition of zippers into the kurti section, many designs can now be created which weren’t possible before. 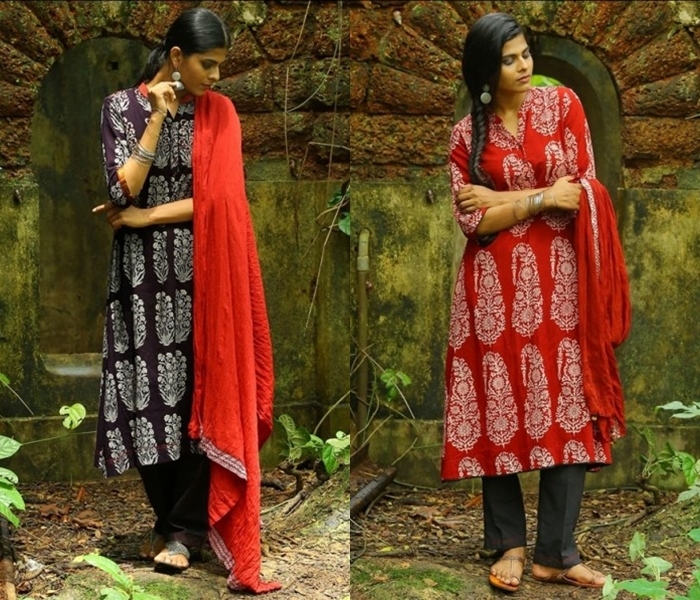 A mix of ethnic and western wear, these kurtas can be carried in both scenarios. Adding on to the design element, this design can form symmetry whether in a triangular or any other shape which you like! The other part of the circular cut, this design includes multiple keyholes to provide a fascinating yet ethnic feel. Adding on loop buttons makes it easier for you to change and adds flexibility to the garment. Many of the new collections are created keeping in mind the requirement of the generation: a mix of classy and sassy! Added on as a supplement, this design tends to look like a separate addition to the main garment. 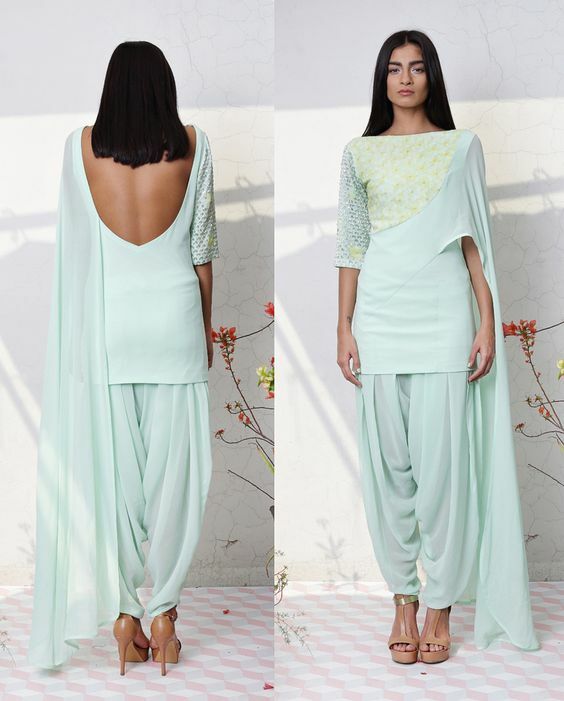 This type of silhouette can be used to create a colour block on the kurti or focus on a specific shade of the same. You can add on several attachments for one kurti so that you can mix and match with the colour of your choice. Pick a solid neutral colour kurti to create several combinations! An intriguing and new addition to the trendy patterns of kurti, this design brings another of the western silhouettes into the Indian wear. Various versions of leaves are now being added to the back-neck patterns to create an original design and with the increasing number of ready-made garments available, you should find the piece that you are looking for. 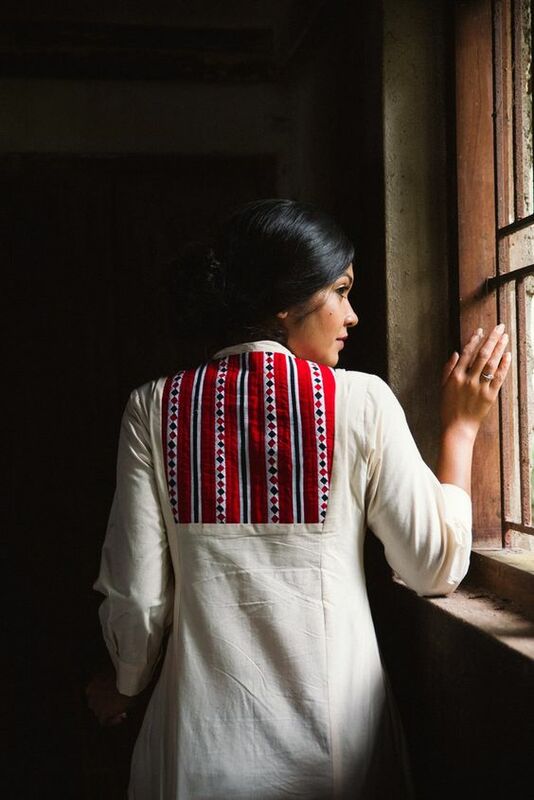 Another favourite from our ethnic collection, this design is often used to create occasional wear that includes festivals and religious ceremonies. But evolving with the times, this design is also used to create subtle textures to casual kurtis and provide you the best of both worlds. 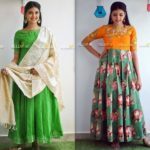 Besides these designs, there are new and upcoming trends which are also being incorporated to create different collection, being inspired from our country’s tradition and culture; these designs are also incorporating the art history and the western culture, creating a blend that can be part of every female’s wardrobe. So get searching and find the one that defines you the most!